During a long and active life Erland von Koch (1910-2009) became one of Sweden’s best-loved composers, describing his artistic goals as follows: ‘I aim for a simple, clear, melodic style, often with elements of folk tone and with a definite rhythmic profile... The older you get, the more aware you become of the importance of melody.’ One of von Koch’s most frequently performed orchestral works is Nordiskt capriccio, which was inspired by a folk tune from Dalecarlia, and which forms the festive finale on the present disc. The compositions which precede it are less well known. They include Impulsi (the first part of a triptych later completed with the works Echi and Ritmi) whilst the two symphonies 3 and 4 appear for the first time on disc. In Symphony no.3, influences from Bartók and Hindemith can be detected; composed in 1948, it is a work which in its thematic material contrasts defiance with lyricism and, finally, a feeling of release. Sinfonia seria, von Koch’s fourth work in the genre, followed a few years later, undergoing a final revision in 1962. As indicated by the title, the underlying mood of the work is grave and bittersweet. 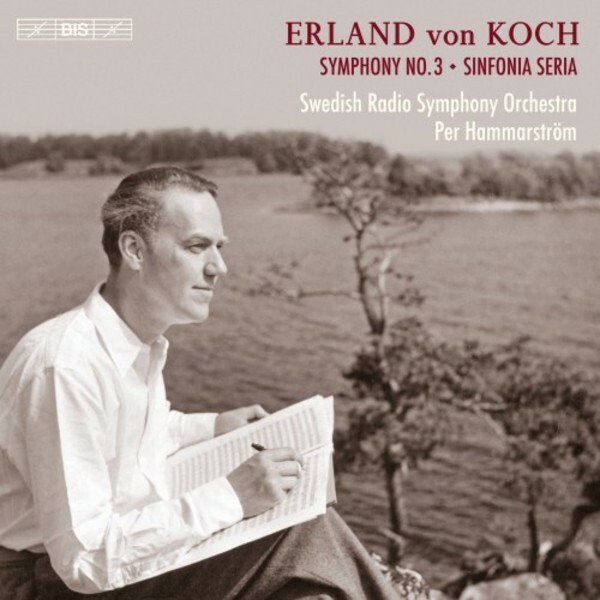 With this disc, the Swedish Radio Symphony Orchestra and conductor Per Hammarström are making their case for a hoped-for and long overdue ‘discovery’ of Erland von Koch’s symphonies.